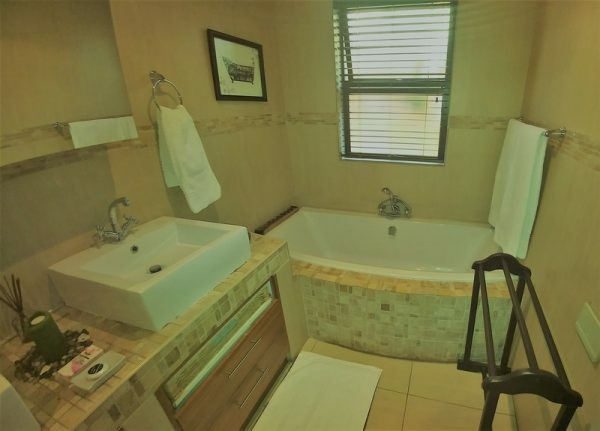 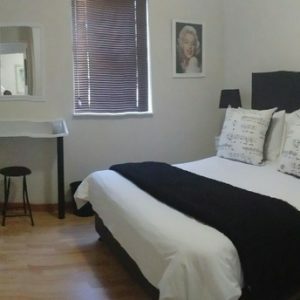 We provide guests with some of the most luxurious accommodation in Bellville, with our units each uniquely named after famous composers – such as this one, after Strauss. We have appointed this unit to show the light, joyful tones of his music, and so have used bright floral cushions in the bedroom, with crisp white linens to enhance the brightness of the unit. 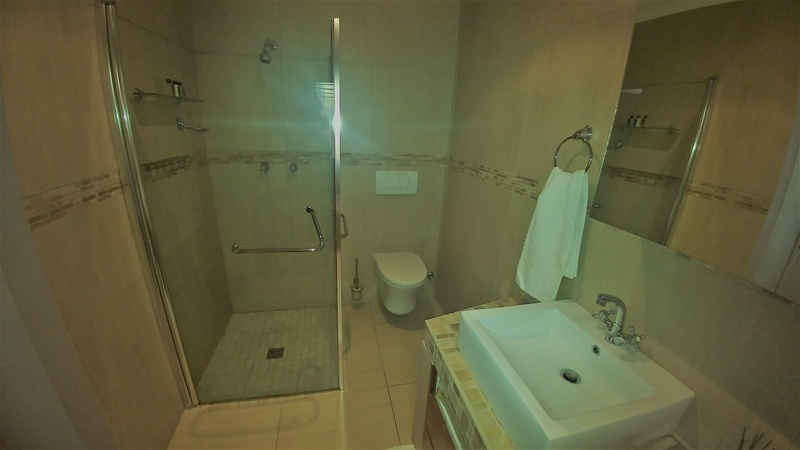 This is a luxury double room with pool view and offers bar fridge and microwave as well as coffee and tea station. 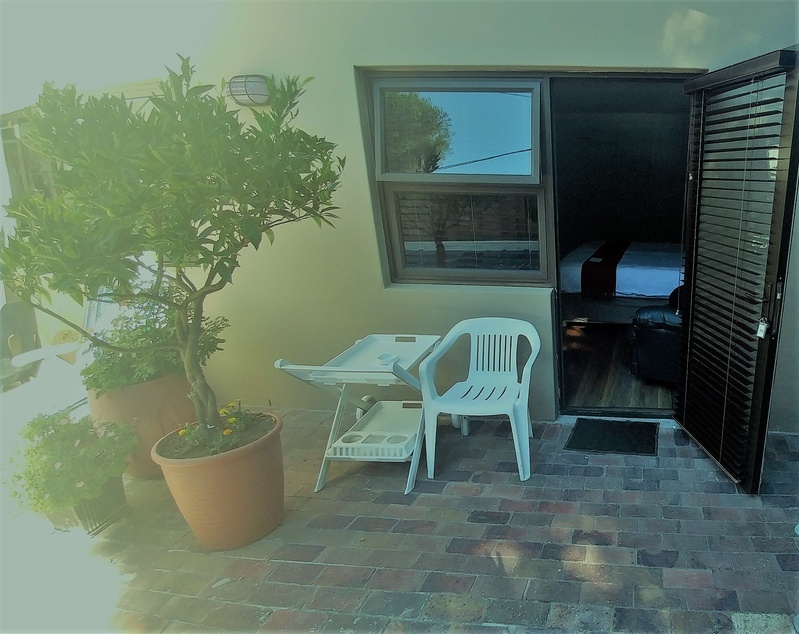 Our short stay accommodation in Bellville is centrally located in the pretty area of Loevenstein, providing easy access to the N1 and N7 highway. 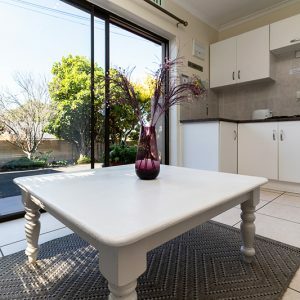 For convenience, we are only minutes away from the City Centre, V&A Waterfront, beaches, Cape Winelands, Canal Walk Shopping Centre, Century City, Grand West Casino, numerous golf courses and Cape Town International Airport. 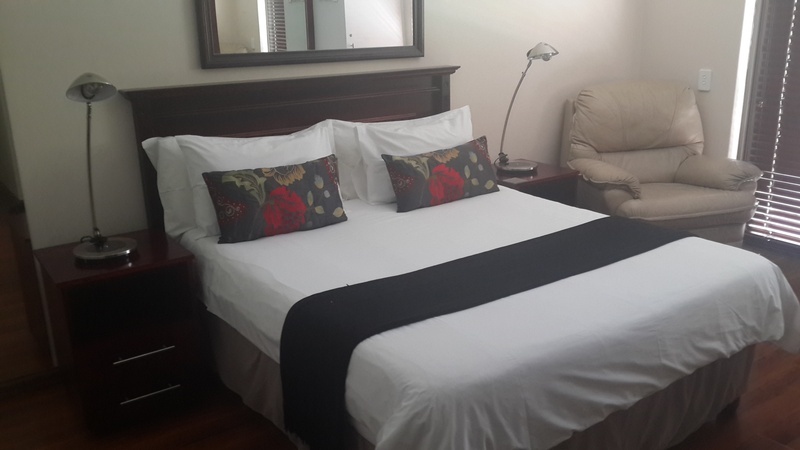 The Tyger Classique short stay accommodation is close to all major shopping centres in Bellville. 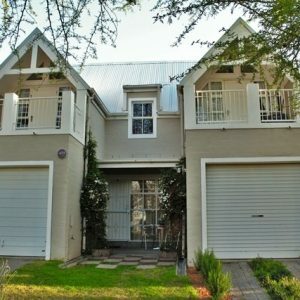 Looking for comfortable short stay accommodation in Bellville? 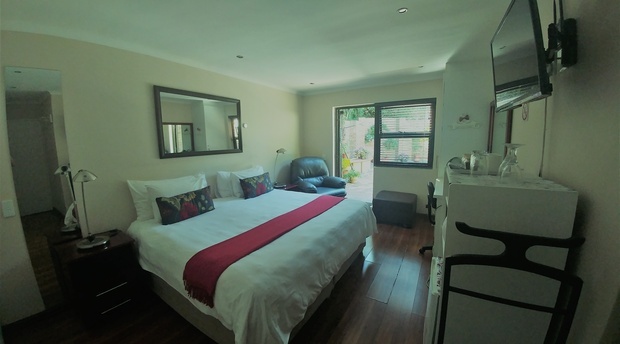 Book now to stay in one of our fabulous units.